The 2.5 seater sofa fully upholstered with focus on comfort. 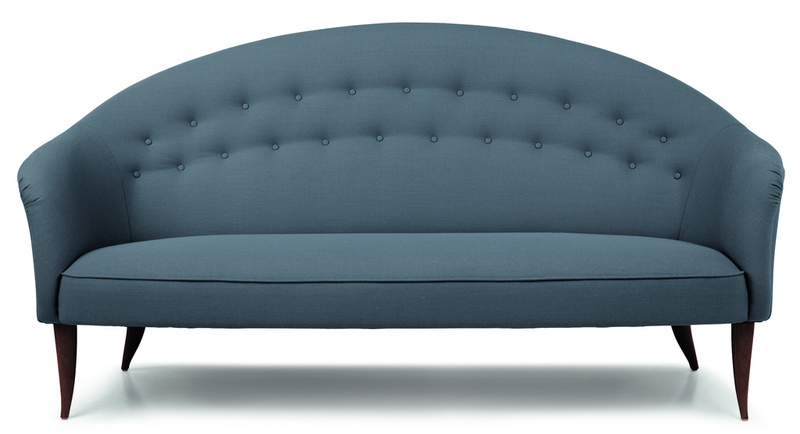 It has a solid beech frame and a hand sewn piping with matching buttons solid wood legs in oil treated oak or walnut. Kerstin H. Holmquist created this unique collection of upholstered pieces for NK – Nordiska Kompaniet in 1956-57. She was employed at NK Triva, a furniture workshop and architect studio where she created this collection for one of her many exhibitions. She named her pieces inspired by Paradiset (Swedish for Eden or Paradise). 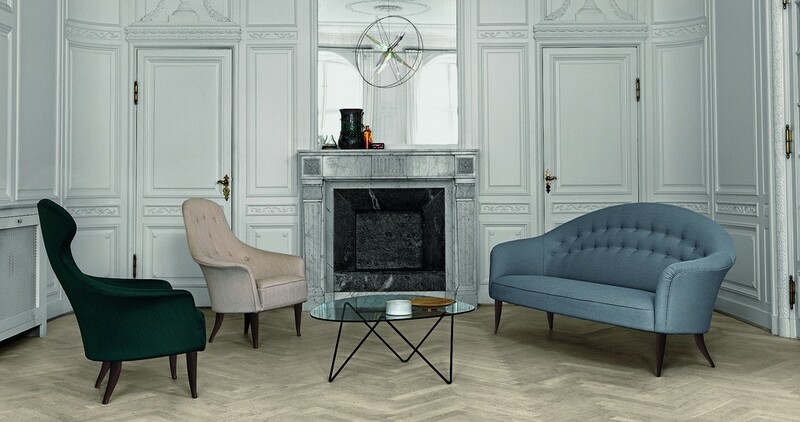 The first piece in the collection was the feminine lounge chair – Eva and later followed its masculine counterpart, Adam. 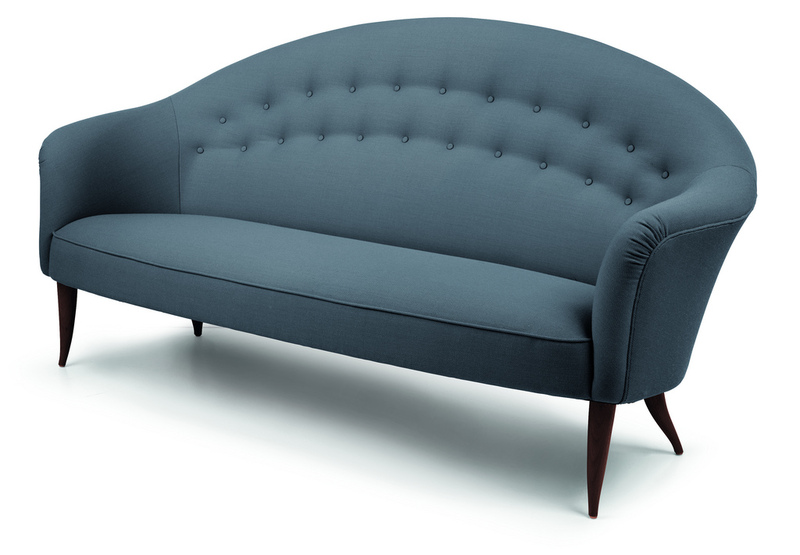 To compliment the two she later also created a sofa – the Paradiset sofa and also a foot stool – the Fig Leaf. In the following years, the series was extended to include a foot stool called the Fig Leaf and other variations of lounge chairs and tables.